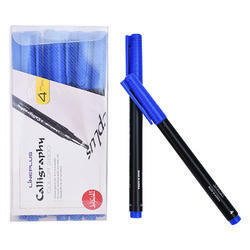 Calligraphy Pen fitted with fine medium nib for a fine grade for calligraphers. 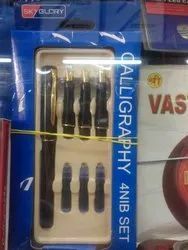 This calligraphy pen gives you the ultimate satisfaction of writing. With Chrome clip and trims and converter mechanism, this is the perfect writing instrument for calligraphy. Since commencement, our company has set benchmark in offering Calligraphy Fountain Pen.